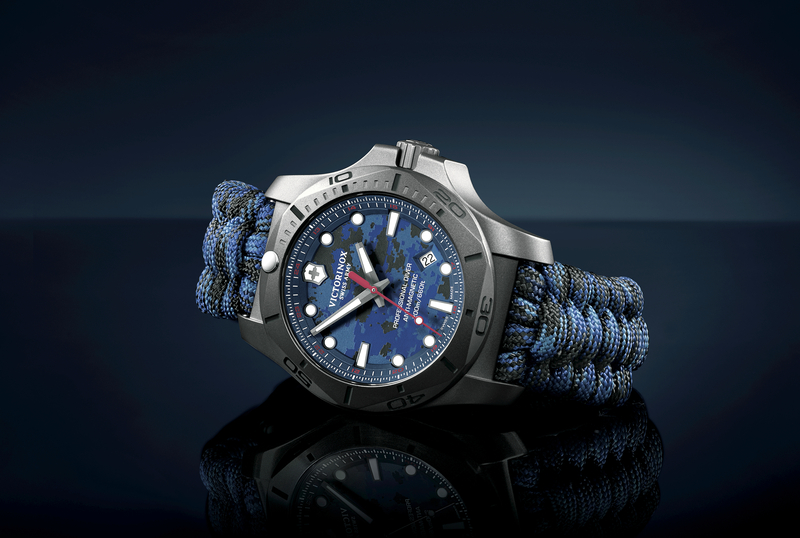 This is the newest addition to the Victorinox Airboss collection. 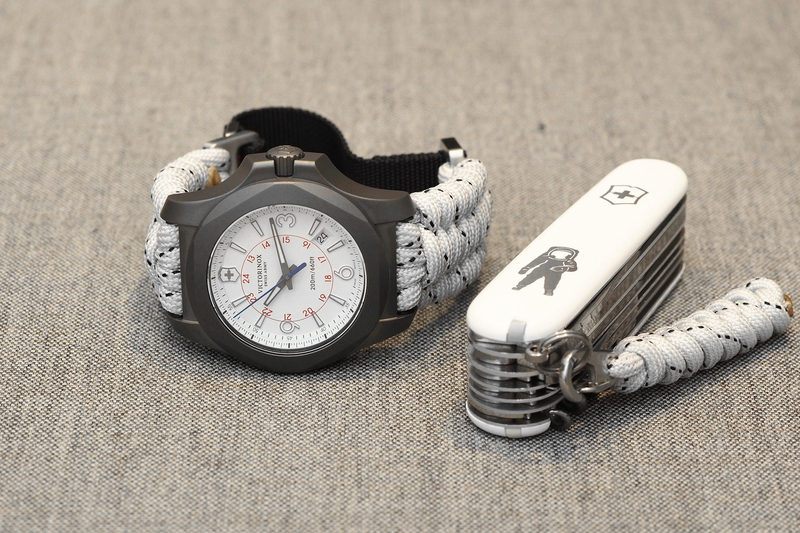 For 2012, Victorinox has added a power reserve indicator to the recently redesigned Airboss Power Gauge. It features a subdial at 7 o’clock which indicates how much power is left in the mainspring, from 0-42 hours. Powering the Airboss Power Gauge is a self-winding ETA 2897 movement which runs at 28,800 vph (4Hz), has 21 jewels and has a 42-hour power reserve. The movement is visible through a clear case back. 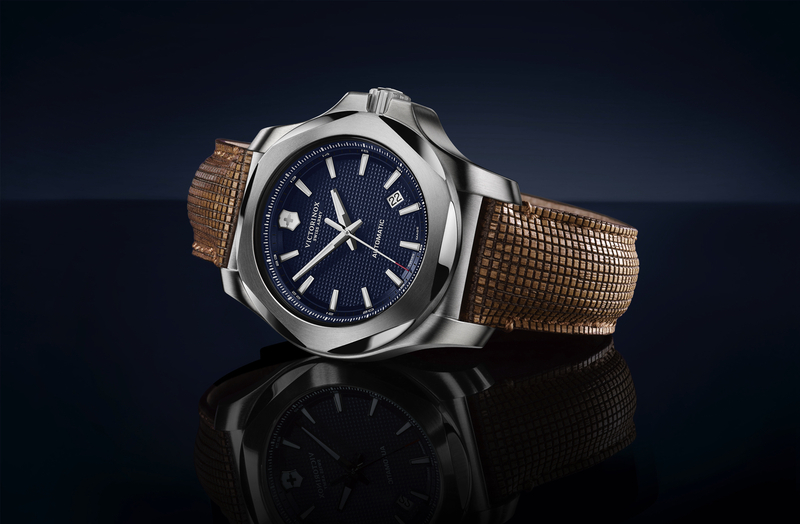 The case is 42 mm in diameter and is in satin-brushed stainless steel. The applied hour markers, hour and minute hands and power gauge feature a Superluminova luminescent treatment for easy night time viewing. The fixed bezel has a scale marking 0-60. 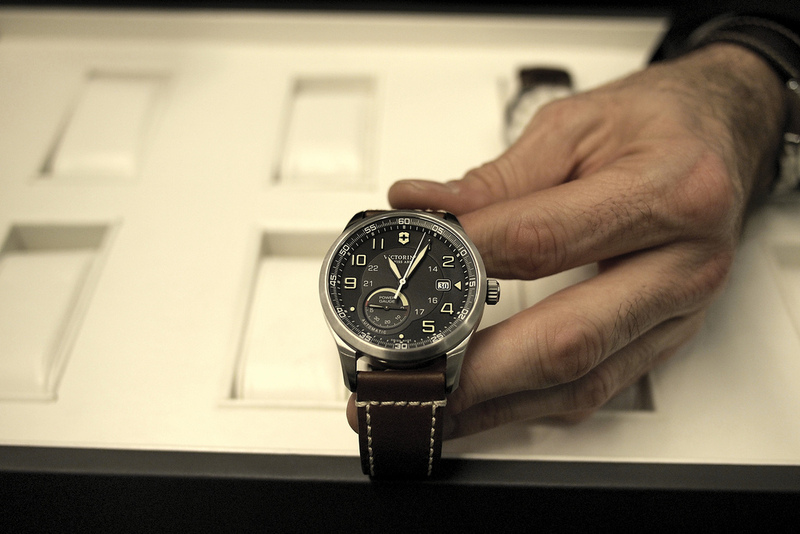 The inner chapter ring features a military hour scale, which is a signature feature on all Swiss Army watches. Sapphire crystal with triple inside anti-reflective coating. The strap is made of naturally vegetable-tanned brown leather with contrast stitching. Water-resistance is 100 meters. The price is $1,645.